Chief executive officers (CEOs) in Saudi Arabia remain moderately optimistic about the growth prospects of the kingdom's economy, as it diversifies away from oil, according to a survey by KPMG Al Fozan & Partners, a leading audit, tax and advisory service provider. The cautiously pragmatic outlook of the CEOs in Saudi Arabia also reflects the fast-changing and challenging domestic and global environment, such as the slowdown in the private sector and looming trade wars, said the report. In its second edition of the “Saudi Arabia CEO Outlook 2018” report, KPMG Al Fozan & Partners said nearly two-thirds of Saudi CEOs are positive about the future growth prospects of the economy and remain positive about the government’s economic diversity programmes and initiatives to reduce oil dependence, notably the Saudi Vision 2030 and its realisation programmes. In this year’s findings, 92 per cent of CEOs in Saudi Arabia are confident about the growth of both their companies and industries over the next three years. The latest results are in continuation of the 2017 survey, in which, 98 per cent remained confident about their organisation’s future growth, while 90 per cent were confident about their industry. The latest CEO survey is based on the input of 50 CEOs in Saudi Arabia, who took part in the KPMG’s "Global CEO Outlook" report. It draws parallel insight from the "Global CEO Outlook" report and assesses some of the important international trends impacting Saudi Arabia as well as how companies can face and chart new business strategies for success over the next three years. The theme of the survey was "Marching Forward", which aims at highlighting the ways CEOs intend to meet their business objectives, regardless of a fast-changing and challenging domestic and global environment. While the report found that global CEOs have become less positive about global growth compared with the previous year, CEOs in Saudi Arabia are more confident about future growth prospects than their global peers. The confidence level of Saudi CEOs about the global economy stood at 94 per cent this year as against 55 per cent last year. Meanwhile, Saudi CEOs rank "return to territorialism" as one of the key challenges to their growth, with 74 per cent finding it as one of the top three risks faced by their organisation. 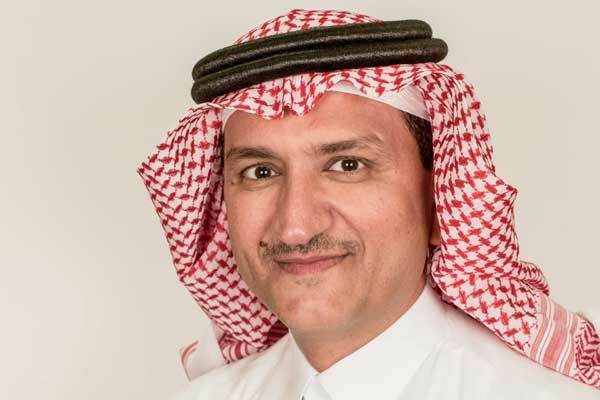 “However, as Saudi Arabia embraces robust national strategies of economic diversification, its CEOs have expressed a very encouraging level of confidence in their business for the next three years,” he said. According to Arvind Singhi, head of clients and Markets at KPMG in Saudi Arabia, 62 per cent of the Saudi CEOs indicate developed markets as their biggest priority for geographical expansion over the next three years, with North America and Australia being the most important regions. In comparison, 70 per cent of global CEOs said that the biggest priority for geographical expansion was emerging markets, especially Central America, South America and Eastern Europe. “However, recent trends also suggest a look to the east for investments which is evidenced by the recent announcement where Public Investment Fund (PIF), Saudi Arabia’s Sovereign Investment Fund, joins Russia and China to form a $2.5 billion ‘trilateral’ investment fund,” he added. In light of economic uncertainties, 55 per cent of CEOs worldwide realistically expect top-line growth of less than two percent over the next three years. However, respondents in Saudi Arabia are more cautious, with 76 per cent having similar expectations.